Let's be real: Every month, it feels as if a new dating app launches on the promise that it is the "non-creepy" (or, at the very least, "less creepy") version of Tinder, the ubiquitous photo-based mobile-matchmaking service that's taken the online dating world by storm. Using a variety of techniques, these new apps promise to deal in relationships, not hookups; unfortunately, few have managed to generate the sustained interest – and corresponding user base -- to be anything other than a theoretical alternative. Enter Hinge. Like many of its fellow Tinder competitors, Hinge's premise is simple: instead of matching users with nearby strangers the way Tinder does, Hinge only connects users who share Facebook friends, and in lieu of Tinder's free-for-all of prospective profiles, Hinge sends users a contained list of potential matches each day. In fact, says Hinge CEO Justin McLeod, the two apps are so different it's wrong to call them competitors. "Really, at this point, we don’t think too much about Tinder," he says breezily. For any fledgling dating app, that’s a bold (OK, pretty much impossible) claim, but McLeod insists that the two services fulfill separate user needs. Tinder is "entertainment...it's something to do on your phone," i.e. great for playing with friends or killing time. In his view, a few of Tinder's recent decisions -- particularly the introduction of a monetized feature that allows users to "hop to a city they aren't even in" and browse local user profiles -- have crystallized the app's primary purpose as a generator of entertainment, rather than actual connections. Hinge, on the other hand, is "a tool to really meet people." The app's social element is key, McLeod says. By limiting the pool of potential matches to friends of friends, not only do users gain an instant security blanket (the pretty dependable 'how crazy can this guy be if he knows so-and-so?' line of logic), but McLeod insists that it creates a more curated, and thus attractive dating experience. Instead of the roll-the-dice nature of Tinder, Hinge matches you with individuals you could theoretically meet IRL, with whom you share comfortably relatable backgrounds (same school, similar interests, etc.). By leaching out some of the randomness of traditional online dating, Hinge emphasizes dating over hook-ups. 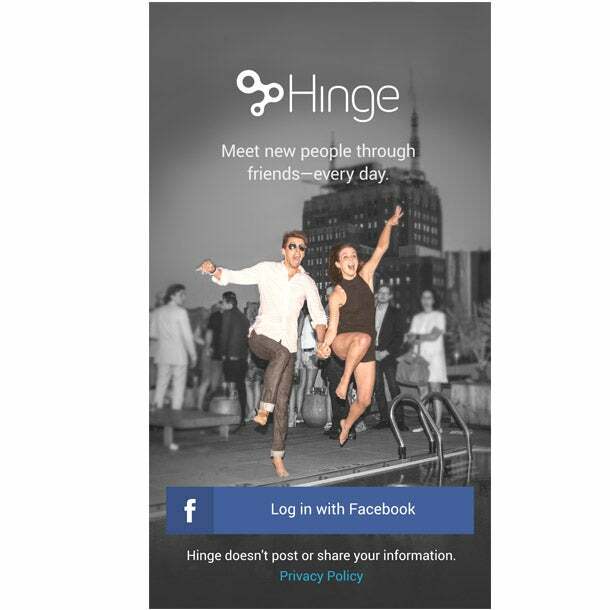 That's a distinction many a would-be-Tinder alternative has tried to make before, but unlike the vast majority of these apps, Hinge continues to generate positive word-of-mouth and considerable buzz since its official launch in early 2013. That's not to say that Hinge operating at anywhere near Tinder's level. While McLeod declined to share the total number of matches that have been made on its platform to date, back in August that number was only 3 million, according to The Boston Globe. (As a reference, Tinder is estimated to make 15 million matches in a day). So Hinge is still relatively small. But it's growing. The app launched in six new markets on Tuesday which means it's now available in 28 cities across the U.S., and its user base has increased five-fold since the beginning of this year. In addition, Hinge just received a hefty cash-injection, courtesy of $12 million in Series A funding, in a round led by Shasta Ventures with participation from Lowercase, Great Oaks, Eniac, and CAA Ventures. This brings its total investment dollars raised to more than $20 million. While McLeod attributes this anomaly to San Francisco's high concentration of early adopters – the company likes to compare its situation to MySpace and Facebook (with Tinder standing in for MySpace, naturally, and Hinge playing the role of Facebook) – it's unclear whether or not other cities will embrace Hinge the way the Bay Area has. And for all its talk of not competing with Tinder, that's key if Hinge wants to expand beyond a niche service. As of now, the title of "non-creepy" Tinder remains very much up for grabs. But Hinge, especially with this latest round of funding, has a shot at nabbing the crown.